Roșia Montană is a village in a mono-industrial area where there are very few job opportunities. As a result, many women in the community are unable to generate enough income for their families. The enterprise sells handcrafted wool clothing products, including socks, caps, gloves, scarves and yoga socks. 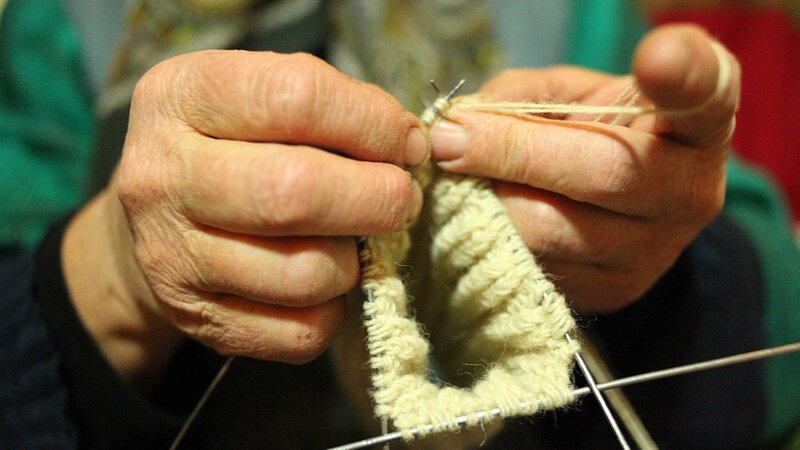 The products are knit by women in Roșia Montană, providing them with income and allowing them to obtain a higher standard of living. The women work from their own homes and enjoy flexible schedules, so they are able to continue to be involved in the life of the local community. Made in Roșia Montană joined the NESsT portfolio in 2015. Since then, NESsT has invested financial capital, as well as tailored business development support in the company. Made in Roșia Montană was initially selected for investment as part of the NESsT Competition for Social Enterprises, which awarded the most promising start-up social enterprises with a year-long incubation program. Over the course of the first year, NESsT supported the company in refining its business model and developing a solid business strategy. The NESsT team in Romania also advised Made in Roşia Montană in building and implementing a sales plan, accessing new distribution chains and diversifying the company’s product portfolio. NESsT invested financial capital to jumpstart the business, including funding for rental and renovation costs, raw material purchases, prototype development, marketing and public relations, staff salaries and transportation costs.